Canada is a very large consumer of energy and ranks almost equal to the U.S. for the top place among the G-8 nations. Canadians consume so much energy because of long winters, long travel distances, and due to high energy consuming industries such as mining, petrochemical, pulp and paper, refining and steel manufacturing, and forestry. Therefore, manufacturers are pressured to reduce energy consumption at every turn. This, along with increasing operating costs and energy prices, makes energy-efficient motor controls all the more important. One of the most popular solutions is the use of an AC drive, also known as a variable frequency drive (VFD), adjustable speed drive, inverter or power inverter. AC Drivesm, or VFDs, are used to control the speed of an electrical motor to enhance process control, generate energy efficiently and reduce energy usage. In return, they optimize the operation of different applications that heavily rely on electric motors. An AC drive can also be used to convert energy from natural or renewable resources such as wind, tides, or sun and transmit for local consumption. In particular, energy consumption in centrifugal fan and pump applications work according to affinity laws. This means that the flow is proportional to speed, pressure is also proportional to the square of speed, and horsepower is proportional to the cube of speed. In such a case, when an application requires 80% flow, the fan will operate at 80% of rated speed and 50% of rated power. Simply put, the speed can be reduced by 20% while requiring only 50% of the power. Fan equipment used for fume extraction also usually has no speed control. Once the flow is controlled without controlling the motor speed, the fan runs at full speed. In most cases, weld fume control systems typically do not need maximum flow. So a system that runs without speed control wastes significant amount of energy and money. Apart from speed control, the AC drive also offers soft startup for a motor that helps reduce mechanical stress and voltage sags, requiring less maintenance and optimizing the life of equipment. Overall, electrical energy consumption can be reduced by as much as 10% if an AC drive is used in any suitable application. VFDs as an energy management solution is a great investment strategy to achieve long-term reduced operating costs. 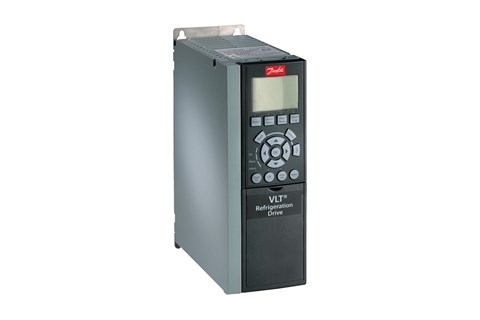 At Bauer GMC, we can provide your enterprise a wide variety of VFDs from Danfoss Drives, which are known for highest quality, and the most efficient and cost effective solution available for your needs. Contact us today to learn more or to book a consultation!